Your vehicle manufacturer recommends services, inspections, and part repairs at regular intervals to keep your vehicle running properly. At Stone's Premier Automotive, we offer high-quality maintenance services that follow the recommendations in your owner’s manual, which helps ensure that you won’t have to have major auto repairs in the future. 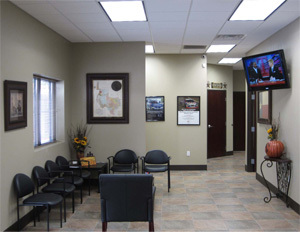 We have a deluxe waiting room with a big screen TV, wireless access, snacks and more. If you must wait - wait in comfort! We also have complimentary shuttle service for your convenience. Stone's Premier Automotive is committed to keeping your vehicle in safe operating condition to take care of all your family's transportation needs. The most effective way to accomplish this goal is through sound preventative maintenance and ensuring all repairs are performed by certified, experienced technicians, using quality, dependable parts. By partnering with vendors such as Valvoline, Napa, AAA Texas, and others we are able to offer you the highest quality parts and service at very competitive prices. We understand that during these tough economic times, it may be difficult to keep up with regularly scheduled preventative maintenance. 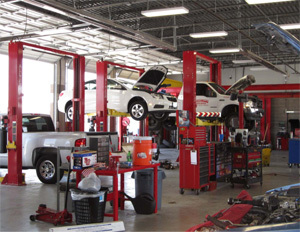 That is why it is even more important to find a repair facility that will look out for your best interest. At Stone’s Premier Automotive, we are a local, family-owned business that wants to earn your trust and gain you as a "customer for life." We realize repeat business is only achieved if each customer drives away with the feeling they were treated honestly and received the highest level of service at an affordable price. We look forward to this opportunity!